The two novels from this series that I have read are fast-paced and highly entertaining, but how plausible are they? Is there any historical model for Clara Vine? Most women who became spies began to operate after the war began. The closer parallel to Vine may be the Australian, Nancy Wake, a prewar journalist stationed in Marseilles, who Sebastian Faulkes used as his model for Charlotte Gray that was later turned into a film starring Kate Blanchett. Yet I do not think that Thynne had Wake in mind when she created Clara Vine. Instead, she tackles the problem of plausibility with a great deal of historical research to provide authentic period detail, particularly of 1930s Berlin, and imaginative plot devices. The Nazi paladin, Joseph Goebbels, who plays a significant role in both novels since he presides over the production of every film, has ambiguous feelings towards her, even wondering whether she is fully Aryan. Yet he recognizes her intelligence so as long as he finds her useful, he will be her protector. In A Winter Garden, there is more evidence of Thynne’s ability to integrate her historical research into a compelling narrative. Through her cover as an actress, Clara meets a flying ace Ernst Udet (a historical personality) with whom she is to about to make a film. Through Udet she learns about aerial reconnaissance and through an American journalist friend, she becomes aware of the Luftwaffe’s responsibility for inflicting in Spain the worst atrocity committed before the outbreak of the Second World War. In one of those ghastly social receptions in which she forced herself to always be careful, she meets a British aeronautical businessman and seemingly Nazi sympathizer, who is not what he appears to be. It turns out from Thynne’s notes that he is based on an actual spy who later wrote about his experiences. In the meantime, Clara is passing on insider information about Nazi plans to her contact in the British Embassy, but she must be careful as she seems to be always followed. One of the skills of the spy tradecraft is the ability to lose a tail and Clara is so adept at it that over the course of the two novels, certain individuals are convinced she is not who she says she is because of her facility for eluding surveillance. In both novels, Thynne’s most clever device is presented in her preface whereby a young woman is murdered. Initially, their murders do not appear to have much connection with the central narrative. 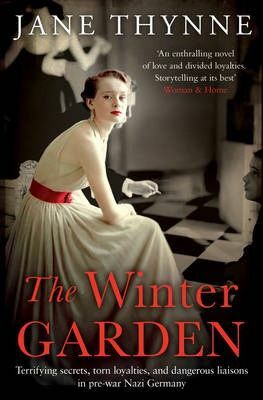 In A Winter Garden, an ex-dancer and artists' model is killed on the grounds of one of the Nazis “bride schools” where young women are being trained in the domestic virtues that will be expected of them as wives of SS officers. These schools actually existed; one of them in a villa on Berlin’s Wannsee Lake, near the summer homes of Joseph Goebbels and Albert Speer, as portrayed in the novel. Given the woman’s background, she seems an unlikely candidate for such a “school” but she possesses a document, which if it became public, would be disastrous for Hitler. I cannot state the nature of this document, but given historical research that has been uncovered about this topic, it is a historically plausible document. Not surprisingly, the authorities seem uninterested in her death and are only interested in talking to girls who knew the dead woman and what she might have owned. Because Clara knew this woman slightly, she and an American journalist friend decide to investigate. In the latter part of the novel, a spy thriller also becomes a murder mystery that puts Clara in the crosshairs of a killer. 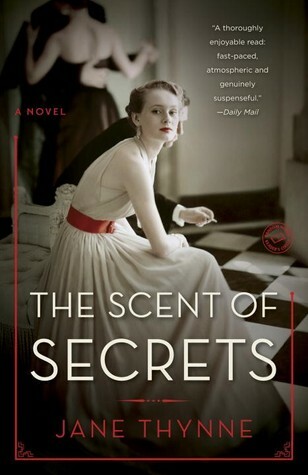 Likewise, in the prelude of The Scent of Secrets set in 1938, a woman is murdered on a cruise ship, and she too has in her possession a document that would appall the Nazis if its contents were revealed to the German public or the larger world. This time Clara has a closer connection to the woman’s disappearance since her godchild, Eric, was on that ship. He develops a crush for the older woman and is disturbed by her fate, so he asks Clara if she can find out what happened. She initially shoves it to the back of her mind because of the task that she is given but, as events play themselves out, she must unravel the mystery that occurred on the ship because it holds the key to obtaining the intelligence that she is seeking and the British sorely need. Clara’s handler has entrusted her with the challenge of befriending Eva Braun, the mistress of Hitler, and to report any pertinent information that she gleans to British intelligence. Again the issue of plausibility arises. How could a woman, who largely lived a solitary life, spied upon by Hitler’s cronies, and was completely unknown to the German public, be put in contact and become friends with an actress who is part British and not arouse suspicion? I think that Thynne partly navigates this tricky conundrum through her reading of the biographies of Braun and therefore is able to offer a compelling and historically accurate portrait of this largely unknown woman. Rather than being an anti-Semitic racist and ideologue, Braun both historically and in the novel is presented as girlish, naïve and self-delusional but basically a decent woman. She was cruelly treated by Hitler, allowing her no life of her own while she must be ready at a moment’s notice to be present for him. She is regarded as a simpleton by the Nazi harridans who shun her except when Hitler is present. As a result, she is lonely, and becomes depressed and suicidal. Her desire for a friend is unbridled, and she loves films; Clara is an actress known to Eva who adores her films. Through a sleight of hand, Thynne arranges a meeting between the two at the film studio. The scenario might have worked better had Eva visited the studio when Clara was actually shooting a scene, something that unfortunately never happens in either novel. Nonetheless, the two women instantly hit it off. It is the development of a “friendship” that strains the reader’s credibility, although I have no problem accepting Clara’s growing sympathy for the gauche young woman. Yet Thynne is so skillful in drawing her readers into her narrative trhat at least this reader was able to suspend some disbelief and enter into the relationship between Clara and Eva. As for the missing document, I cannot say what it is but given the document that we do have, and can be found in university libraries, Thynne has taken the next logical step, and by using her imagination she has offered us something that it is indeed plausible. I know I am being vague, but to be more specific would be to deny readers much of the thrill of reading The Scent of Secrets. For readers interested in historical espionage or mystery novels, they might consider the Clara Vine series.